Made in Japan. 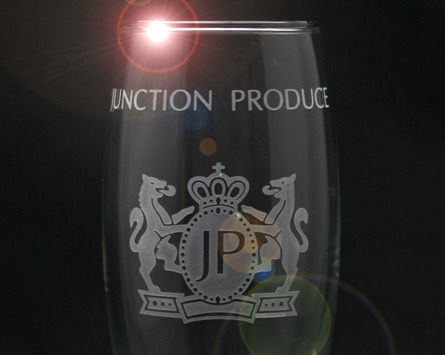 Junction Produce Crystal Champagne / Wine Glass - Laser Engraved with JP Logo. Size is roughly 7.5" Tall. 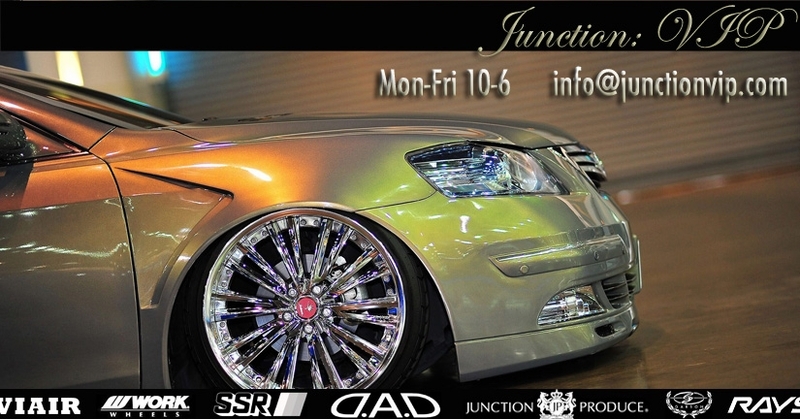 Very finely crafted and solid feel. 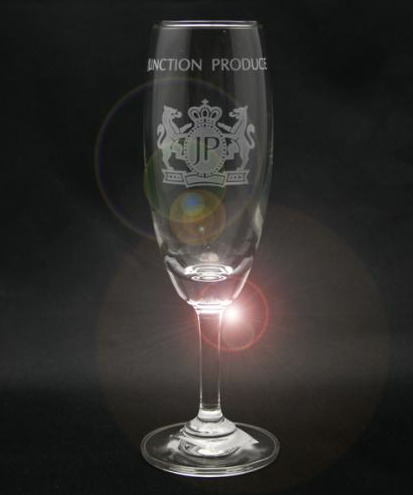 Perfect table tray accessory for any VIP Car.